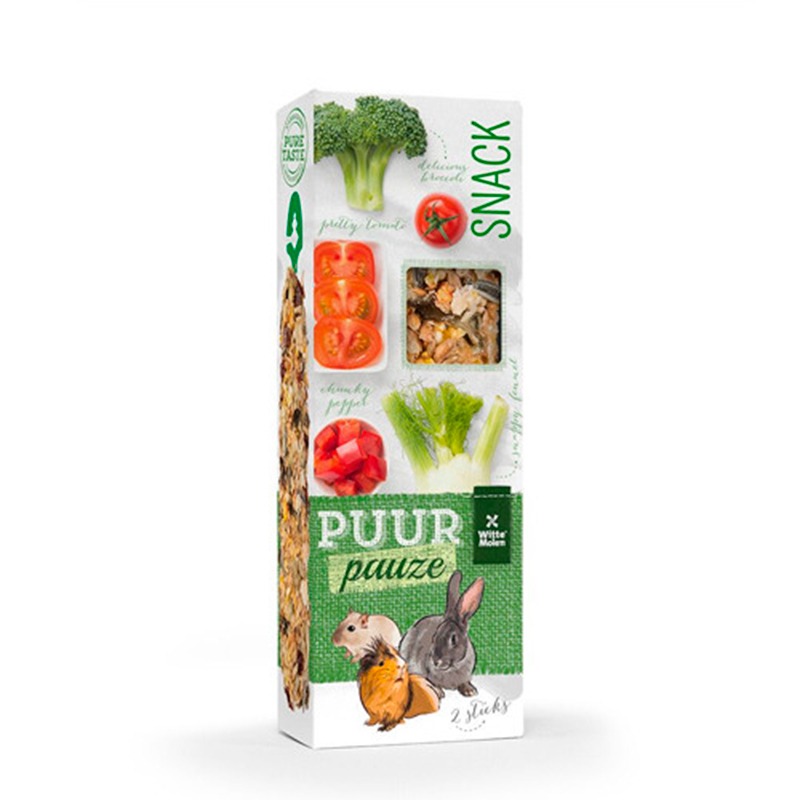 Delicious rodent bars that will help entertain and stimulate the pet. They are covered with an abundant coverage whether they are vegetables, fruit or nuts. Totally natural bars without artificial preservatives, dyes or flavorings. Format: Box with 2 bars. Fruits: blueberries, elderberries, rose hips and rowan berries. Exotic fruits: orange, papaya and pineapple. Almonds and peanuts: almonds, peanuts, coconut and sunflower seeds. Vegetables: parsnips, cabbage, carrots and leeks. Inflated rice, wheat and honey.